I yawned as I got out of the bed. The alarm on my tablet played a favorite melody .After getting out of the bed and quick change, I walked to the nearby stadium keeping the ‘Pedometer’ application running to measure the distance covered and ‘Calorie counter’ to record calories burnt. The tablet was a perfect companion to watch the latest news as well as video ‘hit list’ on the days I choose to exercise on the treadmill before doing some more floor routines to keep in shape. As soon as I returned home, a call from my daughter residing abroad, came on the ‘Viber’. She was excited as she told us that the previous day being a holiday, she had performed a ‘Satyanarain Katha’ and ‘Aarti’ on her Ipad . She also shared the site link details of the ‘Mexican Guacoamole ’ recipe with my wife for us to try out! A quick bite of breakfast followed with an update of news headlines. I boarded the cab and headed to office. After exchanging the greetings with my colleagues, my tablet, doubled as “Alladin ka Chirag’ to immerse in a fantasy world of the best seller that had been downloaded earlier till I reached the office. At office, the work mostly happens on the laptop and in between I connect to catch up on the social network sites during the lunch break. I clear my mobile and electricity bill by internet banking as the due date approaches . Just before leaving the office, I once again update myself with the latest news bulletin and check for the ‘traffic update’ from the app to inform the driver to take alternate route if the traffic is heavy on the regular route. One more time I catch up with the reading of bestseller till I reach home. A hot cup of coffee follows. I and my wife then go out for a walk when she informs me that her ‘kindergarten school’ has a ‘Wi fi network’ where children were shown the comic strips of ‘Chota Bheem’ and ‘Stories from Panchtantra’. They are also taught nursery rhymes from the internet through tablet. The teachers also exchange some recipes and spicy news. She then shared some of the jokes from’ Whatsapp’ on her smartphone. Later after dinner we watched the episode of popular serial ‘Jodha Akbar’ that we had missed, on the tablet. She reminded me that the winter break was round the corner so I need to book the tickets for the trip to Kerala! 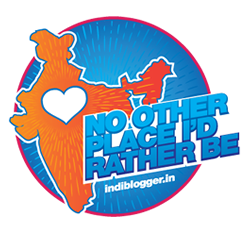 So post dinner, I was engaged in one more session of browsing the travel , hotels and airline booking sites on the tablet before drifting to sleep dreaming of the ‘Backwaters of Kerala’! The last bastion of the barriers in communication has toppled with the widespread surge in usage of tablets! These tablets are not a cure for any disease but are primarily drivers of the wheels of economy in today’s world. Countries like USA and Taiwan have taken the lead as the rising stars by showcasing the products which has brought the nations and people together. My old tablet reminds me of the time spent in Hong Kong where the life of most of the humans has transformed radically and it is not unusual to see most of the city population hooked to the smartphones and tablets even while waiting for public buses or in metro trains as the entire metropolitan is covered by free ‘Wi Fi’. It is time that my tablet gets replaced with a state of the art ‘Yoga Tablet’ from Lenovo which has some outstanding features like different modes of work( Hold , Tilt and Stand’) which could be conveniently used while standing, reclining or lying down. Stylish aesthetics are provided by Aluminum, plastic material, dual Dolby speakers, a high picture resolution of 1280X800 pixels, HD video, MKV, MP4, MOV and AVI playback besides many more features! 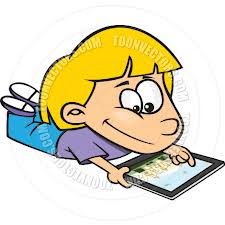 As per report of Pew Internet Research of Oct 2013, 35% of US citizens over age 16 years possess tablets. The day is not far when tablets bring a revolution in lives of every Indian by driving growth in all areas of commerce, agriculture, healthcare and education. It is a dream to see a literate India where everyone benefits from the surge in advances made in technology despite many barriers to growth! Wow how technology has leapfrogged ! Is this actually how you spend a typical day ? If so wow ! You are a great one for technology.Nice post. How the tablets have taken over our lives. Indeed they have changed our lives, Asamptha! Tablets for the body (which we pop into our mouths) and tablets for the mind ! So true Mr Chowla! It is difficult to keep pace with the technology now! Right Shilpa! These gadgets have become a part of our lives now. Thanks for your kind wishes. I think soon our country also will have free wi fi! Now, even our milkman and our road rag picker (I see him everyday) use cell phone! Our people, if given opportunity, are too intelligent even if moneywise they are poor. I have never heard of 'yoga table'. Asked my son about it! I admire you a lot, Rahulji! All the best for the contest! It is satisfying to see the benefits of changes in technology reaching the bottom of the human pyramid. A big thanks for all those kind words Sandhya, and am lucky to have a reader like you! Good one! My son has started using his iPad from school to do all his homework. The tablets have taken over our lives, Rahul. I had never heard of the Yoga Tablet. Good luck for the contest. Sending you lots of positive wishes for the contest. So agree with you Pooja:) I think we are lucky to have so many options to keep us busy:) Thanks for your kind wishes! Rahul, you are correct. 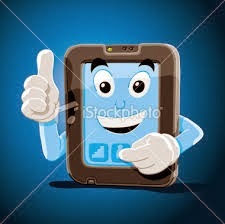 Tablets are becoming very popular with our children. New Technology is fast spreading in India. Surely it is a good sign. Best of luck for the contest. A lot of information, thanks. Thanks a lot Rama for your best wishes! Welcome to my blog, and a big thanks for your wishes! You are right counties like US have taken a lead but we are catching up. Sure we are catching up, Alka but the chasm is too big to fill for all to benefit! It's so nice to hear about your love for for technology, it's inspiring. For me - technology is one thing that just doesn't go in my head :( All the best for the contest! Ha ha.... right... love the technology Jemina! Thanks for your wishes! Good luck with the contest Rahul! Thanks Padmaja! That shows I have some catching up to do! Also, a big thank you for voting for me in the expats blog contest :) I really appreciate it. Yeah ... all in one:) Wishing you a merry Xmas and a happy New Year! Thanks a lot Rama, and I too wish you and your family a very happy, healthy and prosperous New Year! Good luck for the contest, Rahul! Wish you a great festive season. Thanks Rachna and wishing you the same! Best thing about tabs is its portability and you have described your day perfectly. Good luck, Sir. Thanks a lot Saru ! Tablets are surely convenient! Wishing you the same, Ash! Thanks!! Tablets are very convenient. My daughter is always taking it in her bag. Intermediate technology has being developing. I look forward to a next invention. But I am very poor at technology. All the best for the contest. Thanks Sarah! It is fun to keep pace with technology though it is difficult:) Wishing you happiness in the New Year! Life has changed so much Rahul. We cannot eat or sleep digitally. Rest have been taken over by these tablets!! Hi Rahul, hope you're having a wonderful festive season! Just reading this excellent post, I had realized how much technology dictates our lives, we simply cannot go without it. It has become an integral part of us just as much as turning on a light switch or opening a tap. I personally wish we paid more attention to reality rather than the virtual version. Happy New Year! May it be a splendid one!